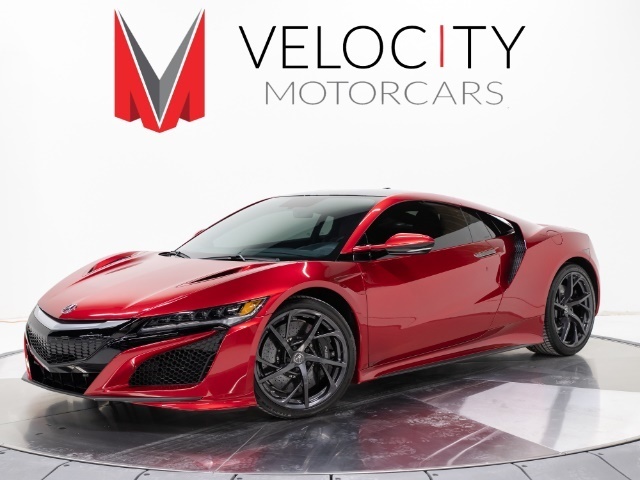 Velocity Motorcars is proud to present this low mile loaded Acura NSX. Building off of the rich heritage of the first generation NSX this Hybrid Supercar is absolutely amazing. Feel all 573 horsepower combined from the electric motors and gas engine as this car rockets you to 60 MPH in 3.0 seconds! Enjoy this loaded car as it has ALL factory options: Black alcantara headliner, Black Carbon ceramic brake calipers, Carbon fiber engine cover, carbon fiber exterior sport package, carbon fiber interior sport package, carbon fiber roof with SIRIUS Radio antenna, Semi-Aniline leather & Alcantara power Sport seats, ELS Studio Audio and Tech package, Exclusive interwoven wheels Original MSRP was over $201,000!. We have just fully serviced this car and it is ready to go! 3.5L Hybrid Twin Turbo V6 573hp 476ft. lbs. I am interested in this 2017 Acura NSX SH-AWD Sport Hybrid that recently sold on duPont Registry.